Camping Los Ibores is a campsite with 81 touring pitches. During low season, between 01-01-2019 - 07-04-2019, 22-04-2019 - 14-07-2019 and 01-09-2019 - 31-12-2019, the nightly rate is €18,- at one of the 81 touring pitches at Camping Los Ibores in Castañar de Ibor (Cáceres). At this campsite you can not only use your CampingCard ACSI for inexpensive camping, you can also use your ACSI Club ID (as an alternative ID). 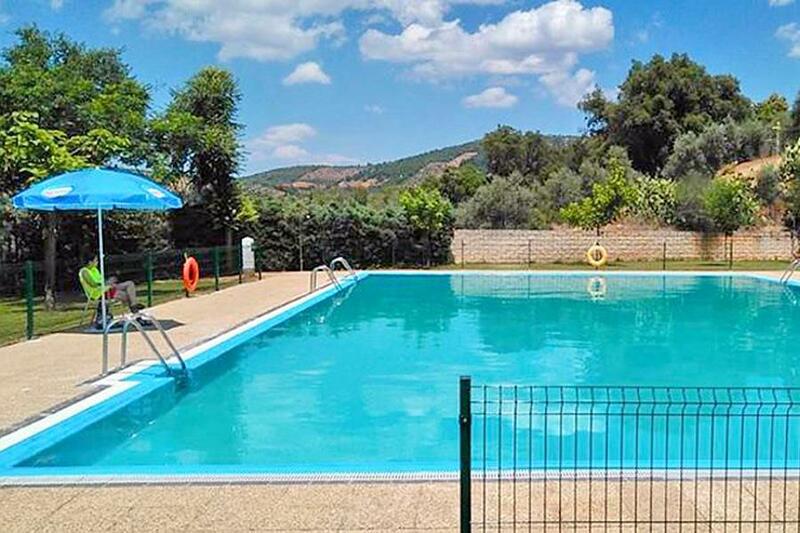 Terraced campsite in the middle of the Geopark Mondial Unesco, beautiful swimming pool that the locals also use, good restaurant, possibilities for walking and cycling in the Ibores Valley where a visit to the Cueva Castañar is definitely recommended! Would you like to book Camping Los Ibores or request more information? You can do both using the information below. On the E90/A5 take exit 178, then EX-118 direction Peraleda de la Mata and follow this road. The campsite is signposted. CampingCard ACSI will send your information request to "Camping Los Ibores".